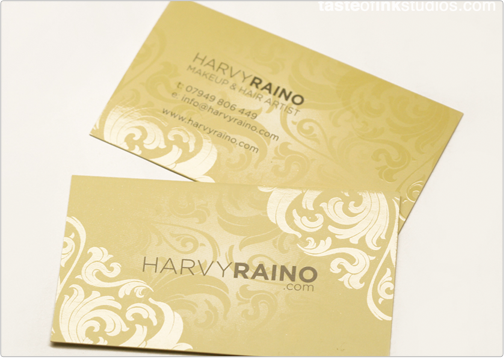 The Harvy Raino business card design encompasses multiple design styles. 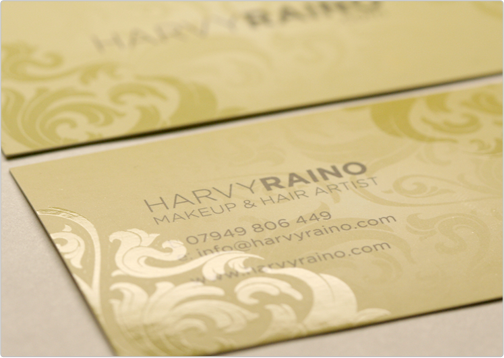 However, the overall edgy design and modern characteristics form a truly luxurious business card. 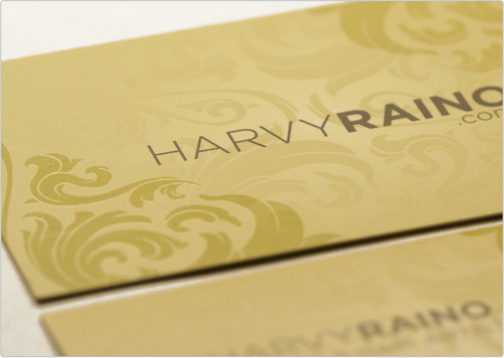 The card is printed on 16pt silk matte finish and contains a wonderful display of spot gloss highlights to create a unique printed brand.